Portable copy machines such as the Canon PC-170 occupy a niche market that caters to those who require copy abilities in remote locations, such as conventions or road shows, and also a great deal of mobility. Utilizing analog copy technology, this bare bones machine remains extremely small and also affordable. Of course the major advantage to have a copy machine this small is its mobility. With a footprint of only 14.1 in. x 17.3 in. x 4.5 in. (W x D x H), the Canon PC-170 is, more or less, as small as it gets when dealing with copy machines. When the unit unfolds, it reaches a much longer length of 32 inches, but is easily folded back up when not in use to conserve space. The unit is designed to be slim and lightweight, and even comes complete with a built in carrying handle that allows users to haul the device around like a briefcase. With a weight of less than 20 pounds, users will not have any trouble transporting the machine though, when carrying paper as well, there will be some additional weight. 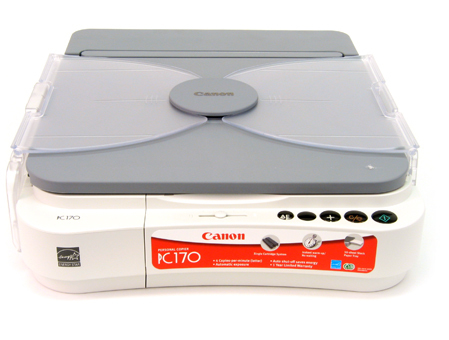 The device does not use a standard paper tray as one would find on a regular copy machine or laser printer, but instead relies on a unique external 50 page feeding mechanism that can be folded up along with the output tray. The only real features included with the machine are the dedicated control buttons and the manual exposure that they can adjust when the demand to control density levels arises, or automatic exposure fails. One of the major downsides to this unit is the fact that, to conserve space, it relies on analog print technology. With analog copying, no digital record is made during the direct transfer to the output paper, meaning that a variety of copy functions found in digital copiers are not available in this device, most importantly being print and scan functions made possible by PC hosing. As this is a non digital unit, no USB port is available for PC connectivity. 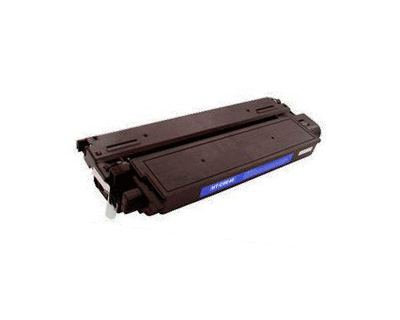 Also, no reduction and enlargement can be done to any degree, and even the standard “scan once, print many” feature found in all digital copy machines is not operational, meaning for every single copy that comes out, the original must be rescanned. The copy speed of this unit is, as expected, extremely sluggish. With a first page out time of 22 seconds and a copy speed of only 4 copies per minute, the device should really only be considered for extremely light duty usage, as the only advantage to a machine like this is its size. 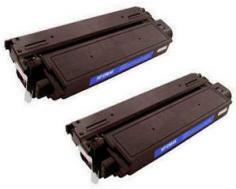 Review it: "Canon PC-170 "
It may come as a surprise, but the toner cartridges for the Canon PC-170, though smaller, carry about the same amount of page yield as those for full sized machines. They run at a very slightly higher price, but are designed to be low profile to keep the height of the unit extremely low. Each black toner cartridge offers a decent 4,000 page yield at 5% coverage.